Every molecule of water on the earth, inside you and all living things has existed for billions of years! After it came to earth that water has been cycling through rocks, air, animals, plants and back again. Each molecule has been on an incredible voyage before coming to you. At some point, the water inside you could have been inside dinosaurs, bacteria, the oceans, storm clouds, the polar ice caps and much more. If you enjoy science fiction you’ll be amazed to hear that water is alien. Our oceans formed hundreds of millions of years after our planet took shape and water arrived on asteroids and comets from space on the edge of our solar system. These were leftovers of the vast clouds of dust and rocks that didn’t quite make it into planets. This is the origin of all the water that you can see here on earth. A water molecule is made from two very light atoms, hydrogen and oxygen. And at the temperatures and pressures on the surface of the Earth, rules of chemistry say that water should be a gas. And, unlike any other chemical, when water freezes it expands. And so ice floats on water. Because it insulates the water beneath, floating ice has enabled complex life to survive and evolve on our planet, despite the many ice ages that have frozen the Earth’s surface solid. Did you know that hot water freezes faster than cold? Yes, really. No one knows why. Water molecules can float upwards because they like to stick together. They can actually pull each other up through tiny channels, such as the tiny blood vessels in your body. That’s how oxygen and nutrients reach the edges of your brain. The same process, called capillary action, allows plants to move water from deep below the ground to nourish the leaves and branches that grow in the sunshine. Once upon a time we thought we on Earth were the only ones in the universe to have water but now we know that water is the second most common molecule in the universe. We now know there’s water on the moon, on Mars, on Pluto and where there’s water there could be life. Scientists have been studying water from all perspectives but it wasn’t until recently that they have discovered that water has consciousness. Dr. Masaru Emoto was a Japanese scientist and author who said that human consciousness has an effect on the molecular structure of water. In his book The Hidden Messages in Water Dr. Emoto shows how water exposed to loving, kind thoughts or words in human intention will result in aesthetically pleasing physical molecular formations in the water, while water exposed to fearful and discordant human intentions results in disconnected, disfigured, and “unpleasant” physical molecular formations. Dr. Emoto also studied how sound affects water. The Emoto music studies demonstrate how certain types of sound, like classical music, generate beautiful crystalline patterns, while heavy metal music generates ugly and distorted crystalline formations. He did this through Magnetic Resonance Analysis technology and high-speed photographs. Although some have considered his conjectures as unscientific he has raised many questions about the mysteries of water. If water is affected by words, intentions, and energies, what effect do these things have on human beings who are made up of mostly water? The amount of water in the human body ranges from 50-75 per cent so it makes good sense that we consume the highest quality of water that we possibly can. Unfortunately, what comes out of our taps is often seriously compromised. Even the cleanest water in our taps contains pesticides, heavy metals, fluoride, chloramines, chlorine and an increasingly alarming amount of pharmaceutical residues, all of which can compromise our health and result in unpleasant chemical tastes and odours. 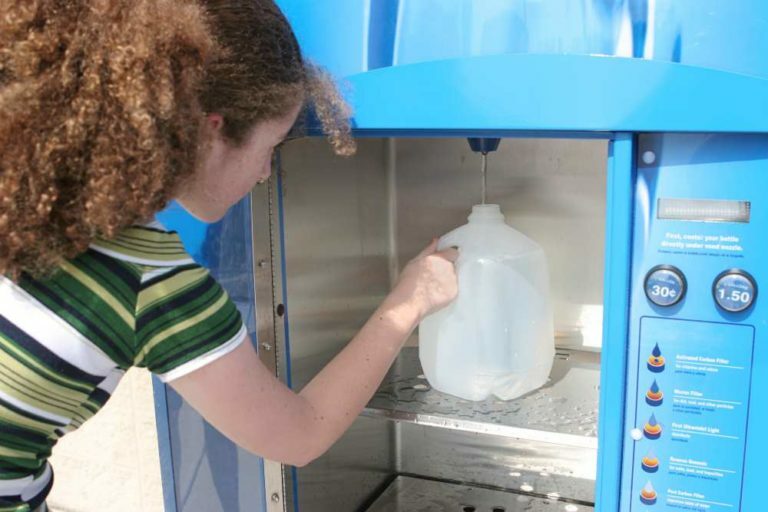 Water purifiers and ionizers have been around for decades and many people have used these technologies to drink better water without having to rely on bottled water, which is not only costly, but puts a serious burden on our landfill sites. A big part of that alkaline way of life is drinking alkaline water that she gets from water ionizers. 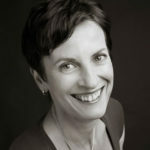 She was so convinced of their value that Colborne started working for Best Water, the company that sells the water purification systems and after a more than a decade continues to be exuberantly enthusiastic about drinking purified alkaline water. “I couldn’t sell it if I didn’t personally benefit from it and think it was a good thing,” she says. We know that antioxidants are a powerful cleanser for the body. H2 is a unique selective antioxidant and is more effective than any other antioxidants. H2 is the smallest molecule in the universe and is capable of superlative bioavailability to fluidly penetrate far more effectively than supplements. H2 easily goes all the way into the mitochondria and across the blood/brain barrier. It scavenges only harmful cytotoxic oxygen radicals and leaves the beneficial radicals alone. The H2 ionizers also help to alkalize the body and that provides good results for a number of diseases including Parkinson’s and Alzheimer’s. Now science has jumped on board and through The Molecular Hydrogen Foundation there are many studies that verify the positive anecdotal evidence about the benefits of drinking H2 infused water that many users continue to report. “Science is now behind it on such a high level touting the many benefits that people are getting,” says Colbourne. “Even my eyesight has improved.” Anti-aging is just one of the benefits of drinking H2 ionized water and if Colbourne is any example, we are definitely convinced. We know what a vital role water plays in our lives. 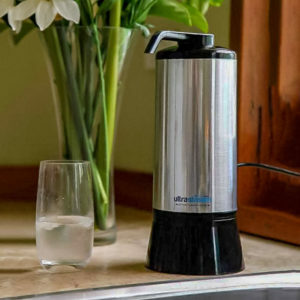 At Best Water all of our ionizers purify and energize your drinking water for great taste and vibrant health benefits. Our cutting edge water ionizers utilize the extraordinary health benefits of H2, or dissolved hydrogen, in drinking water and its prominent effects against inflammation and oxidative stress that are major causes of most diseases. But don’t take out word for it – check out the many benefits of H2 water and our excellent water ionizers for yourself. 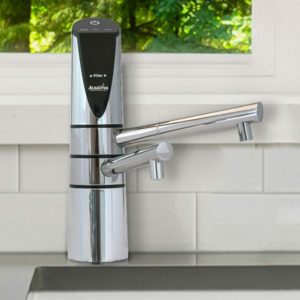 Check us out online at: www.waterionizer.org or speak to one of our water specialists: 1-877-770-5247.